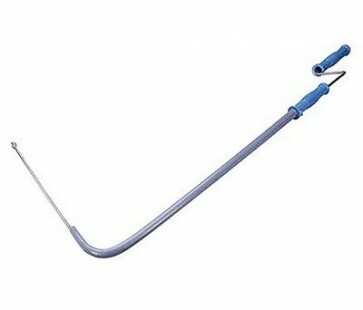 Brand New Toilet Auger Clears solid items from blocked WCs and drains. Flexible protective sleeve allows corkscrew probe to be inserted into inaccessible areas using winding action. Plastic L-shaped sleeve protects toilet bowl. Barrel head on 9mm steel spring.